President Goodluck Jonathan has assured Nigerians of a safer and happier 2013, as measures have been put in place to checkmate the scourge of terrorist attacks across the country. The president, in a remark during the year-end Church service at the Ekklisiyar Yaruwa a Nigeria (EYN – Church of the Brethren in Nigeria), Utako, Abuja, on Sunday, December 30, told the congregants that the Federal Government has not only changed its strategy on the anti-terror war, it has also come up with fresh measures to curtail attacks by the Islamic sect. He said some of the fresh measures had started yielding the desired dividends, adding that the government would do everything possible to ensure that the activities of the Boko Haram do not cause inertia in governance in the New Year. “Boko Haram planned to carry out a lot of attacks on Christmas Day, but we suppressed their plans during the Christmas holiday and most of their plans were not executed because of the strategies put in place by the security agencies, which aborted their efforts. “Although we still recorded some incidents, but the extent of attacks which they had planned, we did not allow them to execute them. “Boko Haram will not push us backwards. If their plans were to stop government from providing the dividends of democracy, they would not succeed because 2013 will be a good year for Nigerians and Nigeria. “With your persistent prayer we shall defeat them,” he said. The president expressed appreciation to the clergy and congregation of the EYN nationwide for keeping the faith and remaining calm even in the face of provocation. The President was at the service with his mother, Madam Eunice Ayi Jonathan; his Chief of Staff, Chief Mike Oghiadome; the Executive Secretary, Christians Pilgrims Board, John Kennedy-Opara; Senator Philip Aduda and some presidential aides. The Canadian High Commission has reduced the waiting period for visa applicants from 60 to 10 days. A source at the High Commission told News Agency of Nigeria (NAN) yesterday in Abuja that the country was now opening up and accommodating more visitors and travellers from across the globe. "Because of this, a lot of Nigerians are sending their children to study in Canada and this has led to a backlog in the number of visa applications. "This informed the mission's decision to reduce the waiting period from 60 to 10 days," the source added. Diplomatic sources told NAN that the Canadian government took the decision following persistent complaints by the Minister of Foreign Affairs, Ambassador Olugbenga Ashiru and the leadership of the National Assembly. Ashiru, at various meetings with Heads of Diplomatic missions assured them of the readiness of Nigeria's diplomatic missions to undertake reciprocal treatment in the issuance of visas. "Where visas are delivered promptly within three to five days, we shall reciprocate and where there is delay, we shall apply the same measure," he told them. NAN recalled that late Dr Lateef Adegbite's visa application for his regular medical checkup was turned down by the mission. The mission cited a new directive from Canada that all visa applications should be thoroughly screened irrespective of the status of the applicants. Also, some members of the National Assembly were denied visas to attend the Inter-Parliamentary Union (IPU) Conference which took place in September in Ottawa, Canada. Canada and Nigeria, established diplomatic relations 50 years ago, and share a common commitment to freedom, democracy, human rights and the rule of law. An explosion at a fireworks warehouse has caused a huge fire in Nigeria's largest city, Lagos. At least one person died and around thirty were injured. No fewer than 6 persons have died, and a dozen injured as fireworks explosion rocked Lagos Island on wednesday. The incident which affected three buildings located at Okoya/Ojogiwa, Lagos Island, Lagos, occurred at about 8:00am. It was gathered that trouble started when a locked-up shop under one of the three buildings stocked with fireworks popularly called 'bangers' suddenly exploded and went up in flames. As a result of the explosion, it was learnt that the building which had d shop under it and two others adjoining collapsed. Residents of the three buildings who were still celebrating the Christmas festivity mood but, were still on beds to witness the boxing day, were affected during the explosions. 6 persons, it was said, were feared dead and a dozen others injured. A score other residents were said to be currently trapped in d debris of the collapsed three buildings. As at press time, officials of the Lagos State Emergency Management Agency (LASEMA), fire service, police, Nigerian Security Civil and Defence Corps (NSCDC) and others had visited the scene for rescue operations. Gunmen on Christmas Eve attacked a church in Peri, Yobe State, killing at least five people, including the pastor, and setting the building on fire, residents and police confirmed yesterday. No fewer than 20 houses were also allegedly burnt down in the attack. Peri, near Potiskum, is the economic capital of Yobe State. "A group of gunmen came into the village at midnight and went straight to the church. They opened fire on them (the worshippers) and then set fire to the church," said Usman Mansir, a resident of the village, according to Aljazeera online. A senior police official in Yobe State also confirmed the incident to the AFP news agency, but declined to be named. Yobe State Commissioner of Police Sanusi Rufa'i said the attack was "a security issue" and refused to comment further. It was not clear who was behind the attack, but fighters belonging to the Boko Haram sect have carried out several attacks in the state and environs, which borders Maiduguri state where the activities of the group is most pronounced. As the yuletide season approaches commuters who travelled to the South Eastern part of Nigeria to join their families in celebrating this season are contending with heavy vehicular movements and poor state of the roads. In this report, Channels Television's correspondents spoke with some commuters who recount their experiences on the road which is a major gateway to the southwest, including the Enugu-Onitsha Road, the Onitsha-Owerri Road, 9th Mile-Obollo Afor Road, as well as the Enugu-Port Harcourt Expressway. Two hundred and sixty two thousand, six hundred and fifty one candidates, representing 62.3 per cent of the 406,108 who sat for November/December 2012 West African Senior Secondary School Certificate Examination (WASSCE) failed to score up to five credits including English Language and Mathematics. Head, Nigeria National Office of WAEC, Charles Eguridu disclosed this while addressing newsmen in Lagos yesterday. He said 413,266 candidates registered for the examination, but 406,108, representing 98. 27 per cent had their results processed. Eguridu said "150,615 candidates, representing 37.97 per cent obtained credits in five subjects and above including English Language and Mathematics." If that figure is deducted from the number of candidates whose results were processed which is 406, 108, then it would be safe to conclude that over 62 per cent of the candidates who participated, actually failed. A comparative analysis of the 2012 result with that of candidates who sat for same examination in 2010 and 2011, however, showed marginal improvement as only 24.16 and 36.07 per cents actually scored five credits including English Language and Mathematics for 2010 and 2011, respectively. The WAEC boss said 47, 289 candidates' result, representing 11.04 per cent, are still being withheld over various cases of examination malpractices. "Such cases are being investigated and the reports of the investigations would be presented to the Nigerian Examinations Committee (NEC) shortly for consideration. The Committee's decision will be communicated to the affected candidates through our zonal and branch offices," Eguridu said. Eguridu also said out of the 49 blind candidates who registered for the examination, 23 of them, representing 46.93 per cent actually obtained credits in five subjects including English Language. He noted that blind students are not allowed to sit for Mathematics and science practical in WASSCE diets. Jamb - the Joint Admissions And Matriculation Board - is the most-searched term in Nigeria, according to Google’s Year-End Zeitgeist list. The education system in the country is reportedly under review due to the "lack of reading culture, unqualified teachers, quest for money and lack of dedication to duty". Mercy Johnson was listed as the top Nollywood celebrity while Davido was listed as Nigeria's top musician. While Whitney Houston was the most searched person - she died on February 11, 2012, Victor Moses who plays for Chelsea came in as the second most-searched person followed by Brazilian soccer star Ronaldinho. Boko Haram, the Islam sect that is reportedly planning on overthrowing the government and impose strict Islam, laws is rated third on the searches category on the google search result 2012 in Nigeria. Google's Year-End Zeitgeist, which means “the spirit of the times", revisits the most viewed searches around the world. Gunmen Thursday kidnapped a French national and killed two persons after they attacked a divisional police station in Rimi Local Government Area of Katsina State. The gunmen, who were in large number, kidnapped the Franch national who is an engineer and identified as Francis. The kidnappers also injured a riot policeman attached to the kidnapped French national who was working in an ongoing Federal Government project in the area. The watchman at the French national's residence was killed, while his neighbour was also gunned down after they injured the riot policeman who was at the residence. The state Commissioner of Police, Abdullahi Magaji, confirmed the kidnap and attack on the divisional police station. Abdullahi explained that the gunmen threw an explosive device into the police station on their way out of the town to divert the attention of the police. The police commissioner stated that policemen had been deployed in all the nooks and crannies of the state to track down the kidnappers. Some of the residents who spoke under anonymity with THISDAY on the phone explained that they heard heavy sound of explosion on Wednesday night which caused pandemonium in the sleepy town. "We saw large deployment of security in the wee hours of Thursday, and believed that the situation is under control as people went out for their normal activities in the town," a resident of the town said. THISDAY learnt that the corpses of the casualties in the attack had been deposited at the General Hospital in the city, while the injured persons were also receiving treatment. Nobel laureate, Prof. Wole Soyinka, yesterday emerged recipient of the maiden edition of the prestigious Obafemi Awolowo Prize for Leadership. 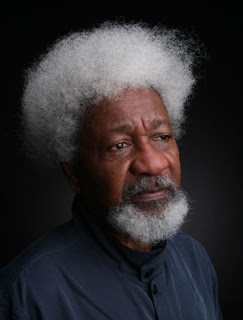 Speaking during the ceremony in Lagos, the former Secretary General of the Commonwealth, Chief Emeka Anyaoku, said: "Although an impressive number of nominations were received, Soyinka was adjudged to possess the highest degree of attributes considered for the award by the selection committee. "The selection committee came to the unanimous conclusion that of all the nominees presented before it, the individual adjudged to possess to the highest degree, the attributes for the award and thus, the first ever recipient of the Obafemi Awolowo Prize for leadership, was Prof. Wole Soyinka." He stated further that the prestigious biennial national prize was structured to follow a rigorous process of nomination and subsequent screening of many outstanding Nigerians. "The nominees for the prize were expected to be men of character who had demonstrated to a substantial degree, the attributes considered to have characterised Awolowo's leadership style, which includes integrity, credibility, discipline, accountability, courage, selflessness, tenacity of purpose, visionary, people-centred leadership as well as respect of the rule of law and press freedom," he said. While noting that an appropriate citation of Professor Soyinka will be given at the actual award ceremony scheduled to come up in March 2013, which coincides with Awolowo's birthday anniversary, Anyaoku said Awolowo was "a highly revered Nigerian federalist, who was variously described by Nigerians" as "the best president Nigeria never had", whose qualities were worth emulating. The incident took place on Okpoama Island, Brass Local Government Area of Bayelsa. Confirming the report, Mr Fidelis Odunna (DSP), the Police Public Relations Officer in Bayelsa, said the gunmen stormed the company's site by boat and abducted the Chinese workers. He, however, said that the police command had since deployed detectives to comb the creeks for possible clues, adding that "strategic security measures are being put in place to forestall a reoccurrence". Community sources earlier said one of the four kidnapped men was the company's Operations Manager, who was simply identified as Mr J.H. Kin, saying the gunmen blindfolded their hostages and took them away in their speedboat. The source said that the abduction was carried out in a "commando-like-manner", as many of the company staff who witnessed the incident were reportedly helplessly. Officials of the Joint Military Task force (JTF) and policemen have been deployed to the creeks to hunt down the kidnappers and secure the release of the expatriates. However, the whereabouts of the kidnapped men has yet to be ascertained, while no group has claimed responsibility for the action. Hyundai Fabrication Company fabricates metal materials used by the Brass Liquefied Natural Gas Company (BLNG). The local communities have been at loggerheads with the company over its failure to employ youths from the area. Finance Minister Ngozi Okonjo-Iweala yesterday blamed indicted oil marketers for the recent kidnap of her 82-year-old mother, Prof Kamene Okonjo. Okonjo, who was held hostage for five days, was on Friday rescued from kidnappers' den in Delta State. Okonjo-Iweala who spoke yesterday while briefing journalists on her mother's release said, "My mother suffered a great deal during this ordeal. It was only the Almighty God that rescued her from a situation that could easily have ended tragically. "She said she was left without food and water for the five days in captivity and the kidnappers spent much of the time harassing her. "They told her that I must get on the radio and television and announce my resignation. "When she asked why, they told her it was because I did not pay oil subsidy money. They also said I had blocked payment of money to certain components of the SURE-P programme." The minister, however, denied stopping payment of oil subsidy to those that deserve it. She said, "These statements are, of course, not true. In the case of subsidy payments, we have been paying all marketers whose claims have been verified by the Aig-Imoukhuede Committee after going through the necessary processes. "For marketers whose transactions are proven to be fraudulent, the position of the Jonathan government is also clear: we cannot and we will not pay. We will not back down on this. We will continue to stand firm. "In the case of SURE-P, there is a totally different process that I have no control over. This is the right thing to do. And this, I believe is what the Nigerian people want." The minister said she would have been jumping in jubilation for the release of her mother but that the death of Kaduna State Governor Patrick Yakowa and former National Security Adviser General Andrew Azazi in a helicopter crash on Saturday tampered with her mood. When contacted to confirm the minster's claim, police spokesman Frank Mba said he was not aware of the minister's claim and would not talk on it. "I will not comment on that," he said. 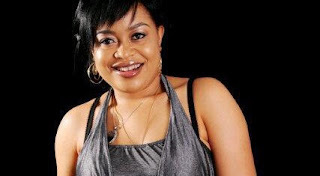 Nollywood actress, Nkiru Sylvanus has reportedly been kidnapped. According to online sources, Sylvanus, who is also a Senior Special Assistant to Imo State Governor, Rochas Okorocha on Public Affairs was kidnapped in Owerri, the Imo State capital yesterday. The fair skinned actress according to sources was last seen on the set of a movie Saturday night in Owerri. While details of the kidnap were still sketchy at press time, it was reported that the kidnappers have contacted the Imo State government and are demanding a ransom of N100million. Sylvanus joined the movie industry in 2000. Her first movie was Felix Okoro's "Out of Cage". Later she featured in "Evil Forest". She is famous for her cry baby roles which shot her to limelight with her third movie, "A Cry for Help" which was also her most challenging role as she had to cry from the beginning of the movie to the end. She has featured in over 30 movies. Meanwhile, the Imo State police pubic relations officer, Vitalis Onugu said he also heard the report but that he could not confirm it officially. Professor Kamene Okonjo, the mother of Minister of Finance, Dr Ngozi Okonjo-Iweala, who was abducted last Sunday from her home, has been freed. According to sources, the 82-year old queen is now with security operatives, just as report says Governor Emmanuel Uduaghan is on his way to Ogwashi-Ukwu to receive her. 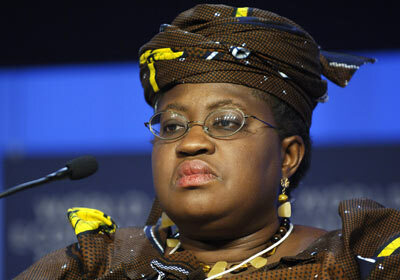 Vanguard gathered that Dr. Ngozi Okonjo-Iweala has been informed of her release. The Nigeria army yesterday said soldiers had arrested 63 people in raids conducted during the search for Prof. Okonjo. Earlier, it had been reported that more than 60 people, including police officers, had been arrested in connection with the kidnapping, for which a ransom of about U.S.1-million had been demanded. A son of Jigawa State Governor Sule Lamido was arrested with undeclared N6.3 million equivalent in U.S dollars at the Kano airport on Tuesday night, the EFCC said yesterday. Aminu Sule Lamido, 34, was nabbed with $40,000 cash which he did not declare in the Customs currency declaration form. He had declared only $10,000 to the Customs who let him pass but he was intercepted along the way to the boarding area by a task force of the Economic and Financial Crimes Commission who found the additional money on him, sources told Daily Trust. Aminu, a 2010 graduate of Mass Communication from the Bayero University Kano, was picked up by the EFCC operatives at about 11.15pm on Tuesday, on his way to board an Egypt Air flight to Cairo. "I can confirm to you that he is arrested. Aminu Sule Lamido, 34, was arrested for underdeclaring money he had with him," spokesman for EFCC Wilson Uwujaren said. "He was arrested at Malam Aminu Kano International Airport with money. He was on his way to Egypt. He declared $10,000 to the Customs, but when he was searched by EFCC officials, additional $40,000 was found on him," Uwujaren added. The Jigawa State Government did not give an official reaction on the arrest of Aminu, who is Governor Sule Lamido's eldest son. But an aide to the governor told Daily Trust they were aware of the incident and were monitoring developments. A senior official in the Kano/Jigawa command of the Nigerian Customs Service gave a Daily Trust an insight into how Aminu was arrested. The official said as Aminu completed the processes of boarding his flight, he filled in a Customs currency declaration form with a claim that he was carrying only $10,000. The official said the Customs personnel did not probe him further because the declaration process was voluntary for passengers. He said it was after Aminu passed the Customs desk that personnel of EFCC's task force at the airport subjected him to further checks including physical search, and that was when the undeclared amount of money was found on him. Daily Trust learnt that he was taken into custody at the EFCC Kano zonal office near the state hajj camp for interrogation. When asked if the suspect will be charged to court, Uwujaren said: "Whatever is going to happen, we will let you know." The Jigawa State Government did not issue an official reaction over the arrest of the governor's son. When contacted, Lamido's chief of staff Aminu Ringim told Daily Trust they were aware of Aminu's arrest and were monitoring the situation. But the governor's director of press Umar Kyari could not be reached by telephone and he did not reply to a text message sent to him. Also, information commissioner Ibrahim Babandi Gumel did not answer calls made to him by our correspondent and also did not reply to a text message seeking for comment on the arrest. A Daily Trust reporter who went round the state capital noticed that people were discussing the incident in a hush-hush manner. One "free reader" at a popular newsstand who does not want his name mentioned said Governor Lamido is trying in Jigawa State but his sons could ruin his political career. An ally to Lamido who spoke on condition of anonymity told Daily Trust that Aminu was travelling to Cairo for medical treatment and that the arrest over the possession of undeclared $40,000 was a ploy to tarnish the image of the governor. This was not the first time EFCC is having a brush with the Lamido family. Sometime last year, the commission investigated another son of the governor over certain monies found in his account. The City of Lagos Edition of Monopoly, the brain child of Bestman Games and the first of its kind in Africa, was yesterday launched at the City Hall in Lagos to avid monopoly players and lovers. The City of Lagos Edition of Monopoly game which portrays the strength of the mega city, also enhances the profile of the state in particular and Nigeria in general. Partnered by the Lagos State Government, First Bank of Nigeria Plc, Guaranty Trust Bank, THISDAY Newspaper and others, the game was created with localised popular landmarks of the city. Some of the landmarks are the popular Oshodi, Bus Rapid Transit (BRT), Kirikiri Prison, City Hall, Makoko and Banana Island instead of the coveted area; Mayfair seen in the UK version of the board game. While launching the board game, Lagos State Governor, Mr. Babatunde Fashola, who was accompanied by his wife, Abimbola, said it would sharpen the skills as well as instill early financial discipline and responsibility on the younger generation. He said: "While we were growing up, the monopoly game kept us indoors. It helped instill in us values on how to manage our finances at an early age and I hope those useful lessons would impact more on the next generation. "The monopoly game is also a useful tool for bringing parents and children together. Parenthood is a greater challenge than building roads and bridges. For me, it is the challenge of building infrastructure of the mind of the next generation that is of paramount importance." For the Chairman, Bestman Games, Mr. Odein Ajumogobia, the choice of Lagos as the first ever African monopoly version is not misplaced as the state has been an icon of good governance. He said: "This Lagos version of the monopoly presents the iconic landmark of the megacity and it would go a long way in financial literacy as well as create bonding time for families." According to the Chief Executive Officer of Bestman Games, Mrs. Nimi Akinkugbe, the uniqueness of the board games was that it captured familiar streets and landmarks in the state. She also noted that it would serve as powerful tool for financial literacy for children to relate to as well as instill great sense of ethical values for the players. She said, "I hope the game would go a long way to enhance the profile of this mega city as well as promote financial literacy, strong ethical values and integrity by rewarding and penalising positive and negative actions respectively." Dignitaries that graced the launch were the Minster for Foreign Affairs, Mr. Gbenga Ashiru; the Head of Marketing and Communication, First Bank of Nigeria Plc, Mrs. Remi Odulani and Bayelsa State former governorship candidate, Mr. Murray Bruce. Other dignitaries are: Managing Director, Winning Moves, Thomas Hiddel; Mr. and Mrs. Patrick Doyle and Development Director, Winning Moves, Peter Griffin, amongst others. As the Federal Government intensified efforts to secure the release of Professor Mabel Kamene Okonjo, mother of Finance Minister from the kidnappers' den, the Delta State Police command, yesterday, confirmed the arrest and detention of two police men who were supposed to be on duty at the palace when the kidnappers struck. Also Minister of Police Affairs, Navy Capt. Caleb Olubolade (rtd), yesterday, instructed the Inspector General of Police, Mohammed Abubakar to deploy Special Police Officers from the Force headquarters,Abujato assist in locating and rescuing Prof. Okonjo. Speaking at the opening of a two-day workshop on 'Budgeting for Effective Policing inNigeria', the minister who expressed sadness at the kidnapping incident said, "it is a very disturbing issue. In unraveling this matter, the Police must take into cognizance that we have a role to let others know that such incidents will be given equal treatment. It could have been the mother of anybody. "Already, the IGP has deployed his men and they are working round the clock on the issue. The IG is on top of the situation. However, I have instructed the IGP to deploy specialist officers fromAbujaif need be, to help in fishing out the culprits". There was still no information yet on the whereabouts of Professor Kamene Okonjo, but a dependable source said workers in the palace were invited by the police to make statements on how the matriarch of the Okonjo family was abducted. Ikechukwu Aduba, Delta State Commissioner of Police, yesterday said that the command was not party to any negotiation for ransom over the kidnap of Prof. Kamene Okonjo. He said that two policemen who were supposed to be on duty when Okonjo, mother of Finance Minister, Ngozi Okonjo-Iweala was kidnapped had been arrested and detained following investigation. Aduba, who spoke with the News Agency of Nigeria (NAN) in Asaba, said that the police was not aware of any negotiation for ransom. According to him, the command is not in support of giving ransom to the hoodlums.NANrecalls that Okonjo, the wife of Prof. Chukwuka Okonjo, the Obi of Ogwashi-Uku in Aniocha South Local Government Area was kidnapped on Sunday afternoon at the palace. "As far as I am concerned the issues of ransom in the newspapers are all stories. And I don't like telling stories. I deal with facts. We have spread our dragnet to ensure we get these hoodlums. Issues of ransom, we are not involved and we have never supported it. "We cannot cover up anybody, investigations were carried out and the two police officers who were supposed to be on duty are now in detention," he said. Aduba said that there were usually insiders in every issue of kidnapping, bank robberies, among others. He said that the state command had strengthened its artilleries, which led to the arrest of 20 armed kidnapers in the past few days. Meanwhile, there was security scare inDeltaState, yesterday, as four daredevil kidnappers, armed with AK 47 rifles, allegedly shot dead a soldier and abducted a Lebanese expatriate staff of Setraco Construction Company at Ughelli, Mr. Harry Fadi. Also, a judge of the Delta State High Court, Justice Marshal Umukoro, miraculously escaped death, alongWarri-Ughelli Roadat Okuokoko community, when another set of four gunmen riddled his KIA SUV with bullets. A prominent politician and former senatorial aspirant, who hails from Ibusa in Oshimili North Local Government Area, Mr. Ngo Martins was attacked Monday night, as he was returning from Asaba to Ibusa. His driver was shot dead, while a police officer attached to him was injured. The politician and the injured police officer were rushed to the Federal Medical Centre, FMC, Asaba for medical attention and were still there at press time, yesterday. Delta Police Commissioner, Aduba, however, confirmed the foiled kidnap of the judge and abduction of the expatriate staff to Vanguard, adding that there was no cause for alarm, as the police would track down the kidnappers. A woman was hit by stray bullet in the Ekiugbo Junction, Ughelli operation, while another staff of Setraco sustained minor injury. The daring broad day escapades of the kidnappers sent a disturbing signal to residents, as well as security agents, who were combing suspected hideouts in the state for the kidnappers of Professor Kamene Okonjo, mother of the Minister of Finance, Ngozi Okonjo-Iweala. Vanguard gathered that the gunmen killed the soldier when he attempted to stop them from kidnapping the expatriate staff, who the deceased was escorting in a vehicle at Ekiugbo Junction, Ughelli. They drove away with the Setraco staff after killing the soldier. According to a dependable source, a male operator of the company and a woman, who was passing by, were hit by bullets during an exchange of fire between the hoodlums and security personnel attached to the expatriates. Justice Mukoro, who is the presiding judge in High Court 1, Warri, was said to be coming to work from Asaba in a black coloured KIA Sportage with registration number, AS 530 UGH when he was attacked between 7.30 am - 8.00 am, yesterday. Narrating how the kidnappers struck, his driver, who gave his name as Akatugba Ossai, said as they approached the traffic hold-up at Okuokuoko, he sighted some armed youths who immediately opened fire on the judge's SUV, but he courageously drove through the traffic "to save my oga's life. "When I noticed two of the assassins beside the vehicle, I pushed them aside and came face-to-face with three other members of the gang, who fired at the front seat where Oga hanged his suit, thinking he was there and the bullets pierced through the front windscreen". Femi Kuti, son of legendary musician Fela Kuti, talks about his father and the impact of Afrobeat on ordinary Nigerians. One of the children of the Okonjo family, Mr Onyema Okonjo, on Monday blamed security lapses for the kidnap of his mother, Prof. Kanenne Okonjo. 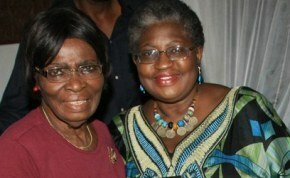 Kanenne (82), is the mother of the Minister of Finance, Dr Ngozi Okonjo-Iweala. Onyema told reporters in Ogwashi-Uku, Aniocha South Local Government Area of Delta that his mother was kidnapped on Sunday at her residence between 12 noon and 1 p.m. by 10 young men. "They came in two green Golf cars and it all happened very quickly. "I think there were definitely some lapses in terms of security. It is not what it should have been, the people that were supposed to have been here were not here. "This gave them the opportunity to do what they wanted to do, but at the end of the day; we really have to be prayerful. He wondered why an octogenarian woman, a grand mother and great grand mother should be kidnapped. Onyema said that his father, Prof. Chukwuka Okonjo, the Obi of Ogwashi-Uku and Okonjo-Iweala were on their away to Ogwashi-Uku when the incident happened. When contacted, the Commissioner of Police in Delta, Mr Ikechukwu Aduba, said that this was not the time to trade blames. He, however, promised that any officer indicted would be punished. Aduba said that in every case of kidnapping, there was always an insider, adding that investigation was on to unravel the situation and free Kanenne unhurt. "We have been holding meetings with the governor and we have sent out our men to comb every nook and cranny and I am sure we will get her out unhurt," Aduba said. There was a large number of security personnel at the residence of the Okonjos at the time of filling this report. CNN's Vladimir Duthiers reports on a culture of mob justice and lynchings in Nigeria. Witnesses have told LEADERSHIP how the octogenarian mother of the minister of finance, Dr. Mrs. Ngozi Okonjo Iweala, was yesterday abducted from the palace of the traditional ruler of Ogwashi-uku, Delta State, Obi Chukwuka Okonjo. Mrs. Okonjo, 82, the queen mother of Ogwashi Uku, was abducted at about 1:47pm by a gang of armed men who seized her at the gate of the palace at Ogbe-ofu and took her away. Her husband was said to have travelled out of the town. The police have, however, arrested a man who allegedly left the compound few minutes before the incident took place. The man was said to have informed the housemaid that he was in the palace to take the queen mother to somewhere in the town. LEADERSHIP gathered that the kidnappers, numbering about 10, lurked around the palace until the woman and her maid came down to serve soft drinks to workers at the gate. An eye witness account said that as soon as the woman came down from the main building and moved towards the gate, the criminals also moved in from the gate, grabbed her and pushed her into a waiting Volkswagen Golf car. "The abductors were heavily armed when they walked into the compound," said one of the the witnesses. "They were about 10. They held up the men fixing the interlocking tiles and asked them to lie face down. Immediately they saw her (the king's wife who was coming towards the gate with her maid to serve the workers soft drinks), they bundled her into a waiting vehicle - a Golf car, while another car was parked outside." One of the abductors was said to have had the temerity to go upstairs to collect the woman's handbag. Another of the eyewitness said that another maid, who sighted the kidnapper coming upstairs, hid herself in the kitchen. On coming down from the upstairs, the kidnapper told his gang members that there was no one else in the house, and they zoomed off. At the palace of Obi Okonjo yesterday, the atmosphere was gloomy as many sympathisers and well wishers, including members of the community's vigilante group, milled around, discussing the development. When contacted, the State Police Public Relations Officer, DSP Charles Muka, confirmed the report, but said that the police were yet to make contact with the kidnappers. General Electric said it will start assembling locomotives in Nigeria by next year. If that happens, it could save Nigeria some huge foreign exchange usually used in acquiring locomotives from Brazil. It will help rejuvenate Nigeria's dying competencies in the railway sector and in growing the sector faster. Managing Director, Nigerian Railway Corporation (NRC) Mr. Seyi Sijuwade revealed at the weekend that the agreement the Federal Government signed with General Electric should come into force in 2013. Mr. Sijuwade stated these to our correspondent during the NRC's first senior management staff retreat and award night in Lagos. President Goodluck Jonathan had said in his Democracy Day, May 29, address that government had signed an agreement with GE to assemble locomotives in Nigeria. Jonathan said the project would enhance the sustainability of the rail sector and make Nigeria a major hub in West and Central Africa. GE will be utilising NRCs existing workshops for the assembly plants. Mr. Sijuwade said: "GE will have to use NRC workshops because the rail lines are connected to our workshops. If you assemble elsewhere, you will have a challenge transporting the locos to the tracks. Also, our workshops will be improved by GE to modern workshops. "Why the assembly wouldn't start just yet is that GE is also looking for investors and partners because they wouldn't want to take all the risks alone. He said: "By next year, am sure, GE should have commenced work on the assembly facilities. But first, they also want to conduct independent track integrity on the new tracks we are building so that they would be confident the locomotives they are assembling will be put to use. "Nigeria's commitment to GE is that, if they commence assembling the locomotives, we will buy at least 200 over the next 10 years. We need to make that commitment for GE to be assured of return on investment. It is a launch order. "But, the fact that we are making that launch order of 200 locos in the next 10 years isn't a guarantee for any kind of price to be given us, we will still get the best deal for the offer," he added. 15 year old Ikenna Ugwuegbulam, a Senior Secondary School student of International School, University of Lagos, Akoka, Lagos state has emerged the overall winner of the 2012 edition of UBA Foundation national essay competition for secondary schools in Nigeria. He clinched the first position at the grand finale and prize giving ceremony, held at the UBA headquarters on Monday, getting an educational grant of N1million to study in any African university. According to a new statistic from WaterAid, an NGO, more than 50 million people are directly bearing the brunt of lack of clean water and sanitation. Access to government provided sanitation has dropped from 37% in 1990 to 31% today in the country causing the spread of diseases and poverty. The lead underwriter for the Dana aircraft that crashed on June 3, 2012 in Iju area of Lagos State, Prestige Assurance Plc, said it has contributed up to $2.609 million to make up for the $30,000 initial payment to relatives of each of the victims of the accident. The contributed amount connotes 30 per cent of the total claims, while the remaining bulk 70 per cent comes from Lloyds of London, UK, the main reinsurer of the incident. Relatives of 81 victims of the air disaster have been paid, out of the 146 persons who lost their lives. The insurer (Prestige Assurance Plc) absolved itself from all blame regarding delays in payment of the initial compensation to relatives of the crash victims, saying it was neither responsible for negotiating nor verifying claims made by the bereaved families and that its duties under the contract was limited to contributing its share of verified claims. The Managing Director of the company, Dr. Anand Mittal, made these clarifications while fielding questions on the controversies trailing the payment of compensations to relatives of victims of the ill-fated aircraft in Lagos recently. Some relatives of the crash victims have made allegations of irregularities and deliberate delay in paying the initial compensation on the trio of Prestige Assurance, the management of Dana Airline and the foreign reinsurer, represented by Yomi Osikoya & Co. Some raised the alarm that they were said to have been paid the $30,000 initial compensation whereas they had not received any money from any of the parties while others alleged that they were short-changed by the trio, having been paid $15,000 instead of the full amount. Some others accused the managements of Dana Airlines and Yomi Osikoya & Co of deliberately frustrating the payment process under various guises. Also, the aged father of one of the victims said the airline's management and legal representative of the reinsurer coerced him into going through a DNA test and securing a Letter of Administration and still refused to pay him or his proxy the said $30,000 initial compensation. Responding, Mittal absolved Prestige Assurance from blame with regard to the complaints of the stakeholders, confirming that as at last week, the insurer has paid $2.609 million, being compensation to victims of the deceased and legal fees to relevant organisations handling various aspects of the claims. According to him, Prestige Assurance's role stops at paying its share of verified claims on the advice of the legal representative of the reinsurer, Lloyds of London, Yomi Osikoya & Co., which is the firm handling all the claims on behalf of its principal. He explained that, it is the responsibility of the reinsurer based in London to verify and negotiate claims arising from the accident through its Nigerian agent in line with the insurance contract as approved by the National Insurance Commission (NAICOM). Mittal said under the contract the job of Prestige Assurance in its capacity as lead underwriter is limited to making available 30 per cent of every verified claims on behalf of all the co-insurers; adding that it was not concerned about how the reinsurer and its representatives arrive at the final claims figures. According to him, 81 relatives of crash victims have received the initial $30,000 each, adding that the remaining 70 per cent of the claims would be paid to them when they meet the necessary claims conditions including presentation of valid letters of administration from the state government. The global best practice in aviation insurance, according to him, is that reinsurers take full control of the claims process and appoint relevant professionals to help in verifying and negotiating claims filed by relevant stakeholders. In addition, he pointed out that the Prestige Assurance did not enter into any contract with victims of the air crash and as such its duty stops at indemnifying the insured (Dana Group) to the extent of liabilities incurred as a result of the accident and not to negotiate individual claims with relatives of victims. Explaining what the insurer did so far with regard to compensating the victims' families, Mittal said as soon as the company got wind of the accident, the insurer's officials attempted to physically inspect the crash site but were stopped by security officials who warned that it was not safe for them to do so. The company thereafter summoned an emergency management meeting to deliberate on how to meet the expected claims and notified the main insurer and reinsurer, Lloyds Syndicate of London, which appointed Clyde & Co to handle all the legal formalities alongside its Nigerian representatives, Messrs. Yomi Osikoya & Co. The management of Dana Airlines also set up two crisis centres in Lagos and Abuja respectively in line with legal and regulatory requirements, he added. According to him, the payment of the initial $30,000 compensation to families of the crash victims ran into trouble when multiple relatives started laying claims to the benefit of some victims. Mittal also dismissed any irregularity in the case of those who were paid $15,000 as against the mandatory $30,000, explaining that those were cases where two sets of beneficiaries are entitled to the compensation for same victims. On the various allegations of irregularities on the part of the legal representative for Dana Group and Lloyds, the Prestige Assurance boss said those making the allegations should come up with proofs of the misbehaviours as alleged. Meanwhile, the legal representatives for relatives of 40 of the crash victims, M. O. Awoyemi & Co. have called on the National Assembly, the Aviation Minister and President Jonathan Goodluck to prevail on Dana Airlines and the local and foreign insurers to speed up the payment process, to alleviate the suffering of those who lost their loved ones in the accident. According to the law firm's Managing Partner, Mr. Bunmi Awoyemi, some of its clients were paid half of the statutory $30,000 while another was not paid at all even after his name has been published in various media as one of those who were paid. He alleged that the Dana group and their insurers were deliberately frustrating the payment process to the detriment of the victims' relatives. President Goodluck Jonathan's younger brother, Chief Meni, who died on Nov. 20 is to be laid to rest on Saturday, the Presidency, has said. A statement by Dr Reuben Abati, the Special Adviser to the President on Media and Publicity, on Tuesday said that the remains of Meni would be buried in his hometown, Otuoke, in Ogbia Local Government Area of Bayelsa. Abati noted that the President would leave Abuja for Bayelsa on Thursday to participate in the burial ceremonies. He said Meni's remains would be conveyed from Abuja to Otuoke on Friday and would be received by the Otuoke Council of Chiefs at the Otuoke Community Hall at 2.30 p.m. The special adviser added that there would be a Service of Songs for the deceased at the Dame Patience Jonathan Square, Otuoke, at 6 p.m. on Friday. Abati said that a commendation service would be held at the St. Stephen's Anglican Church, Otuoke, at 10 a.m. on Saturday. He said that the deceased would be interred after the commendation service. Al Jazeera spent several days in the Nigerian city of Maiduguri, which is the epicentre of Boko Haram's insurgency.